This year’s catastrophe of an election cycle has led some on the Left to seek refuge with Green Party presidential nominee Jill Stein, and while I am not necessarily a member of these refugees, I do sympathize. Hillary Clinton’s neoliberalism, for better or worse, is as abhorrent to many leftists as Donald Trump’s ultra-nationalism. Stein has run on a platform of human rights, political and racial equality, and anti-imperialism. It was therefore extremely disappointing to me to see her vice presidential running mate, Ajamu Baraka, write an editorial that supports Syria’s autocratic Bashar al-Assad. What is worse, Baraka isn’t alone in this trend: There is a long history of leftists supporting oppressive regimes simply because of their supposed “anti-imperialism”. For the left to be truly internationalist, to truly support human rights for all peoples, we need to bury this phenomenon once and for all. First, let’s talk about Baraka’a article and dispel the notion that Bashar al-Assad is somehow an “anti-imperialist.” Baraka has two central points: First,that the recent Syrian elections, which Assad and his Ba’athist party won handily, represents “a vote that was more about Syrian dignity and self-determination than any of the candidates on the ballot”. Baraka’s obvious mistake here is that the word candidates is plural; though there may have been candidates besides the Ba’athists and Assad, we can assume the system was going to deliver an Assad victory no matter what. Therefore, the idea of “the Syrian people” going out and voting is undermined. 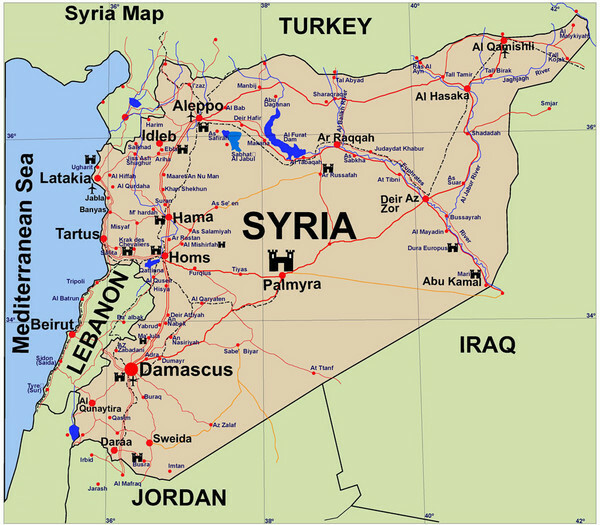 Second,that the opposition in Syria is composed almost entirely of Islamic radicals. One can’t deny the presence of Islamic groups like the al-Nusra Front in the anti-Assad forces in Syria. But this refocuses the debate away from Assad, who is still a dictator, still a supporter of mass repression and state murder. The elementary school-level logic of “he’s fighting bad people, so he’s a good person” that Baraka applies to Assad is not grounded in a legitimate concern from human rights, or a nuanced understanding of international relations. And, even if Baraka was correct about the content of the Syrian opposition, to what extent does Assad actually oppose imperialism? Sometimes Assad has aligned himself with Chinese and Russian interests, which are equally oppressive as U.S. hegemony, but more importantly, he has collaborated with U.S. anti-terror human rights abuses. Namely, the case of Maher Arar, a Syrian terror suspect who U.S. officials seized and sent to Syria to be tortured. In a sense, the U.S. exported our human rights abuses to Assad’s regime. But this is the man Baracka says is “in opposition to the efforts of the imperialists states” and with whom we should “stand in solidarity…no matter how we see the internal contradictions of that nation/state.” “Internal contradictions” in this context is a fancy way of saying “the murder of over a thousand people with chemical weapons”. So it is a delusion that Assad is somehow anti-U.S. His Syria is a “frenemy” regime, sometimes opposing and sometimes collaborating with the imperial powers. There also may be those among Baraka’s camp that may tend to view his “Arab Socialist Ba’ath Party” as leftist. They may be surprised to learn that since pro-business reforms in 2004, Syria’s capitalists have become the backbone of Assad’s support. The idea that this combination of economic inequality and state repression is what the Left should strive for is ludicrous. Supporting Assad for his “socialism” is akin to supporting Hitler because his party had the word “socialist” in its name. But more generally, the western Left still finds itself in a perpetually awkward position on foreign policy: As citizens of the West, they belong to countries which have frequently subjugated the rest of the world. Resistance to this is obviously a must for anyone concerned with a better planet. But who do you stand with when those who oppose Western imperialism are frequently just as evil as the imperialists themselves? There’s no perfect answer to that question, and this is why the Left has no answer on how to solve the Syrian Crisis, in which more than 400,000 people have died. Even today, when all the world’s states are obviously capitalist, these leftists support oppressive regimes as “anti-imperialist” so long as they oppose the U.S. in some form. Under the faulty logic that “my enemy’s enemy is my friend,” popular struggles for democracy are denounced as the work of American imperialism if they protest the wrong regime. For these folks, pointing out that the West is hypocritical, that America and company do not actually stand for freedom, is the end of the argument. Another way of putting the anti-Western-at-any-cost streak in the Left, as The Guardian did in 2015 when discussing an attempt to extract the genocidal Sudanese president from South Africa: “if your white western war criminals are roaming free, then we reserve the right for ours to roam free as well”. The Guardian rightly called this strain of thought an “obvious self-harming failure”. Just because the U.S.’s imperial projects are false, hypocritical, and atrocious, does not mean those who claim to support their abolition are magically transformed into anti-imperialist heroes. The sad coda to Ajamu Baraka’s article is that an actual, living-and-breathing leftist community, in the form of Kurdish Rojava, are fighting and dying against ISIS, Syrian government forces, and the Turkish army. Baraka’s article doesn’t even mention these courageous fighters, who have made tremendous strides in radical democratic participation, feminist inclusion, and racial equality. I suppose Baracka’s blind support for Assad means that real radicals who are fighting Assad’s autocracy every day must be put to the sword. Perhaps now that Rojava is supported by the US, Baracka and fellow armchair leftists halfway around the world get to dismiss the Kurdish socialists as “sellouts”. But hey, it’s all worth it, just to spit in the eye of the U.S. foreign policy apparatus.